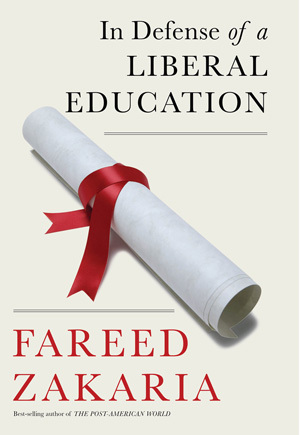 In this urgently needed book, Fareed Zakaria argues that this turn away from the liberal arts is a mistake. A liberal education teaches you how to write, how to speak your mind, and how to learn—immensely valuable tools no matter your profession. Technology and globalization are actually making these skills even more valuable as routine mechanical and even computing tasks can be done by machines or workers in low-wage countries. More than just a path to a career, a liberal education is an exercise in freedom. Above all, it is an expression of the most basic urge of the human spirit—to know. Fareed Zakaria’s international bestseller The Post-American World pointed to the “rise of the rest”—the growth of countries like China, India, Brazil, and others—as the great story of our time, the story that will undoubtedly shape the future of global power. Since its publication, the trends he identified have proceeded faster than anyone could have anticipated. The 2008 financial crisis turned the world upside down, stalling the United States and other advanced economies. Meanwhile emerging markets have surged ahead, coupling their economic growth with pride, nationalism, and a determination to shape their own future. What turns rich nations into great powers? How do wealthy countries begin extending their influence abroad? These questions are vital to understanding one of the most important sources of instability in international politics: the emergence of a new power. In From Wealth to Power, Fareed Zakaria seeks to answer these questions by examining the most puzzling case of a rising power in modern history–that of the United States. With James F. Jr. Hoge. In The American Encounter, readers will find these landmark essays and many more in a unique intellectual history of this century and of the extraordinary role that America has played in it.There is no other book like this, because there is no other publication like Foreign Affairs.The American Encounter is a powerful link to the giants of history—those visionaries whose warnings and advice still speak to us today, offering wisdom, insight, and a greater understanding of America’s place in the world.